You all said you wanted faster checkouts so Pre-Confirmation on orders is now available. We released this into the wild almost 2 weeks ago and thought it deserved a short write-up. 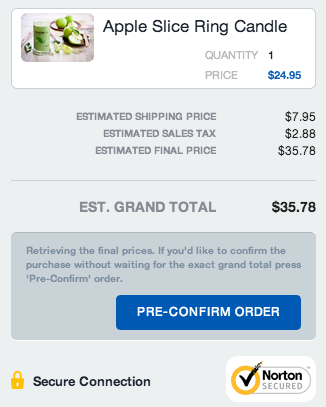 Just after you configure a product Two Tap gives you a Grand total Estimate for most orders. You can now Pre-Confirm the order without waiting for our API to return the final Grand Total. You can then leave the interface and you’ll get the standard confirmation email from the retailer with the actual Final charged price. Two Tap estimates $2.88 on sales tax and $7.95 on shipping. By pre-confirming you’d actually end up paying $2.88 less than the estimate because of zero sales tax on candles. 1. Systematically decreasing the number of carts with a lower estimated price than the final price. 2. Being as close to the actual final price as possible. We use data averages from orders that currently flow through the API to estimate the shipping and sales tax for each order. That’s why the estimated error is lower on retailers that receive more orders or lower on less common orders like carts with 2 or more products. The estimates also get better as more orders flow through the API. More than 80% of the carts with one product show an estimate less than $1.5 above the actual final price. As consumers that can now confirm an order in just a few seconds that makes us very happy. We recommend waiting for the final shipping price before confirming a purchase of a particularly big or heavy product. It’s also still quite inaccurate for shopping carts with 2 or more products. We’re still getting data there after recently releasing the Add to cart button. Pre-Confirm is currently unavailable when users use a retailer account to place an order. PS. You should all know this by now but it still bears repeating: Two Tap never charges you more than the merchant would. In fact, we don’t charge you at all. We just enable you to re-use your buying data across many merchants. Two Tap, wave goodbye to amber! Our team has finished moved all assets to TwoTap.com. amber.checkout and amberExpress become Two Tap Checkout – the universal checkout wallet for iOS Safari and Google Chrome. Don’t forget to show some love to our newly minted @TwoTapBuy account and tell us what you think of the new name. Meanwhile, sign up to get in touch on the website if you haven’t already. A small update to amber.checkout now allows you to add multiple products in your shopping cart across multiple merchants. 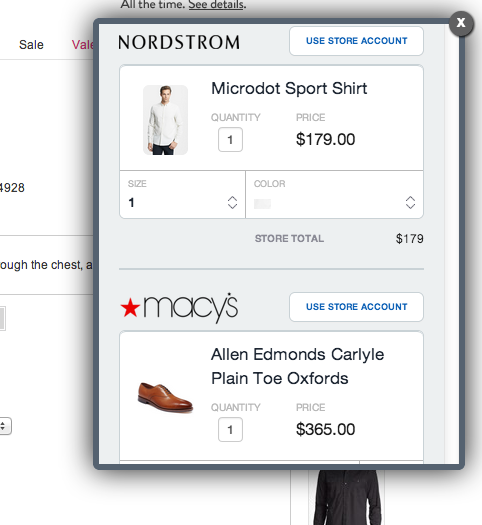 I can add a Microdot Levi’s Shirt sold by Nordstrom by clicking the Add to Cart button and a pair of nice Oxfords sold by Macys and then do a 2 click checkout on both products. Yes, it also works with more than 2 products and it’s very much a global universal cart that lives in your browser. 2 studies brought out new pieces of info that add to both general mobile trends as well as mobile ecommerce in particular. 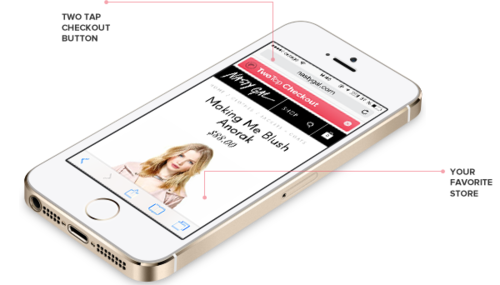 VentureBeat reports on the growing trend of app devs moving to ecommerce as a monetisation strategy – link. It’s mostly Amazon but that’s also because it’s difficult for app devs to promote products from other retailers. Full report here. TL;DR Read more and check Supported Stores on amber.checkout or install directly in Chrome App Store. 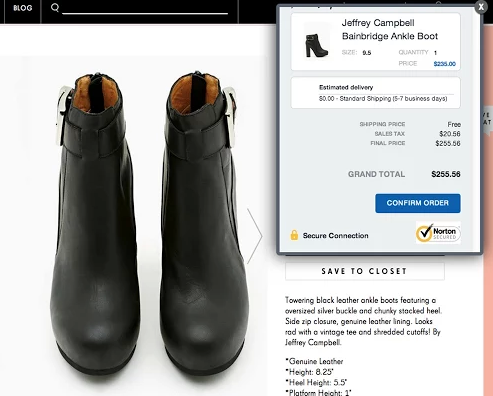 amber.checkout, a product we’ve initially released early July in the Google Chrome store leverages the amber.io API and re-uses a customer’s shipping and billing data (shared with amberExpress) across more than 100 merchants to make online shopping checkouts as simple and convenient as possible. Download it at ambercheckout.com or directly in the Chrome Store and let us know what you think. If you haven’t already, also install amberExpress on your iOS devices for a more integrated and convenient way to shop. amber.io is a PCI DSS compliant solution. For extra security, we never store your CVV code. We’re getting ready to announce some big updates, stay close.